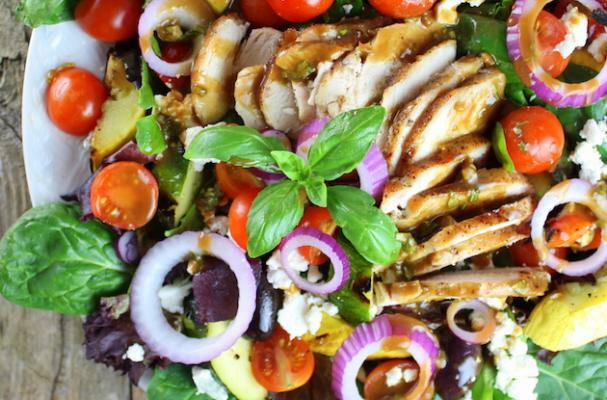 This colorful Mediterranean Grilled Chicken Salad from Taste and See is like spring on a plate! The rainbow of vegetables includes yellow squash, zucchini, red onion, cherry tomatoes, and mixed green lettuces, which are dressed in a vibrant basil balsamic vinaigrette dressing and topped with briny feta cheese. It’s a great dish for the grilling season or a quick and easy way to use up leftover chicken. Click here for the complete instructions! This classic “Hunter’s Chicken” is a year-round favorite in our home. 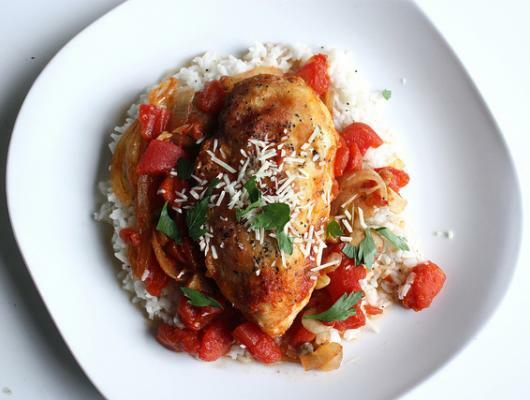 Browned chicken breasts and thighs (we usually just do all thighs in our home) are bathed in a luscious sauce of onion, red bell pepper, garlic, mushrooms, tomatoes, oregano, and white wine, then garnished with a good Parmesan cheese and fresh basil. Roasted cashews, carrots, mushroom, spring onion, chile peppers, garlic and chicken are stir-fried in a flavorful combination of oyster sauce, fish sauce, and brown sugar. It’s an easy dinner for any night of the week. This hearty and healthy Mexican-style soup is easy on the waistline (it's low cal and low carb), yet is full of delicous flavor!